The Daimler Conquest is an automobile which was produced by The Daimler Company Limited in the United Kingdom from 1953 to 1958. 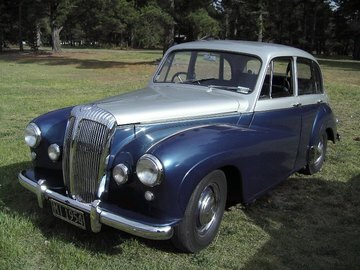 Based on the Lanchester Fourteen, the Conquest replaced the Daimler Consort. Sales were affected by increasing prices and by the fuel shortage caused by the Suez Crisis, and production ended by 1958.